Although designed for the little ones, Legoland also has the ability to amaze the grown-ups with its entertaining attractions that range from the calm to the more adventurous. We will enjoy a fun-filled day for the family and return to the ship with big smiles on our faces. 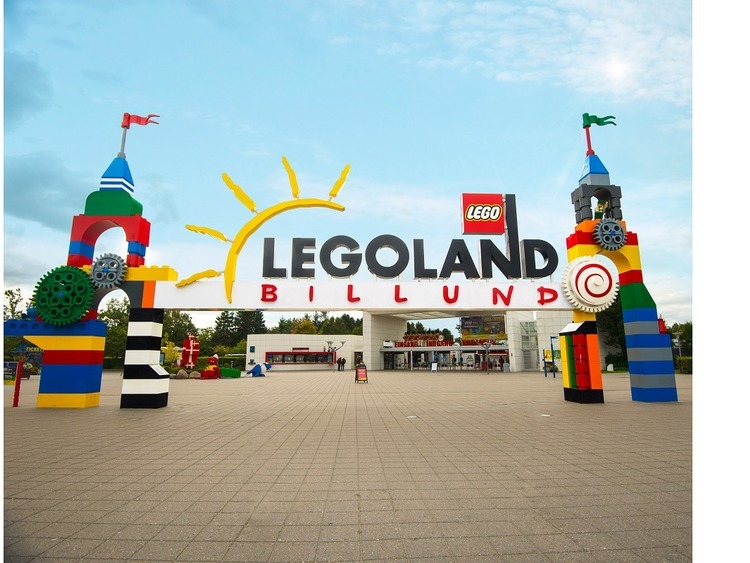 We will leave the port and travel through the lush countryside surrounding the town of Billund, situated in the heart of the Jutland peninsula and home to the Lego company. Then we will enter Legoland park, founded in 1968 close to the original Lego factory, and we will get ready to enjoy a fantastic day packed with all kinds of fun. The park was created using at least 60 million coloured bricks and boasts 50 attractions, all built using the famous plastic bricks. We will be spoilt for choice! We can visit the fascinating Miniland where landscapes, monuments and palaces from across Denmark and the rest of the world have been painstakingly reproduced in Lego to a scale of 1:20. More action-packed entertainment is available too! Anyone who loves a Western will not be able to resist LEGOREDO Town, where merry-go-rounds and the Far West train rattle around to the sound of country music. A canoe ride becomes an incredible adventure through the rapids, and we can search for nuggets in the gold mine, which will be transformed into a gold medal that you can take home! But if it's pirates that really get you excited, we will jump on board pirate ships with their very own cannons in Pirate Land and engage in a splash battle! For the more adventurous of us there is Adventure Land with breathtaking rollercoasters, jet skis that dart through the jungle (watch out for the bombs hiding under the water!) and a treasure hunt that will see us shooting our way through the darkness with laser guns. The day also has a lot more surprises in store for us as the park boasts at least 9 different themed areas for us to discover. We will have to be quick and snap up this opportunity for a fun-packed day. The transfer to Legoland takes approximately 1 hour and 30 minutes.